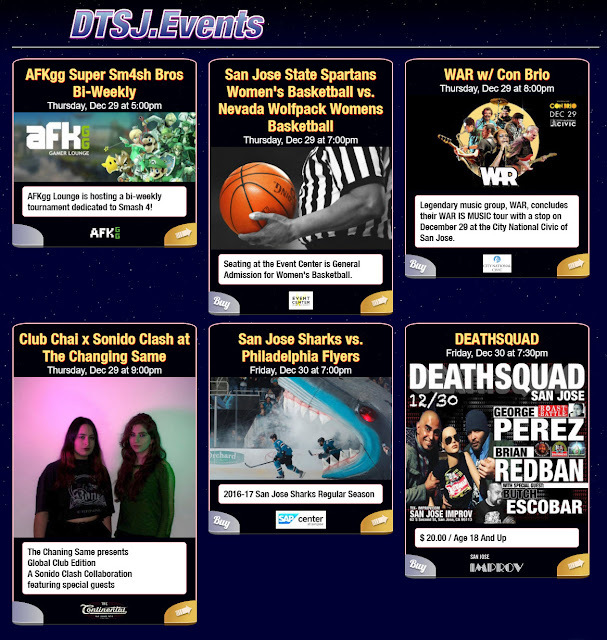 It is difficult finding a one-stop shop for all of the great events in Downtown San Jose. Matt Spergel has taken a shot with a new site called DTSJ.Events. The website currently pulls from the 70 different Facebook pages of Downtown venues and is still a work in progress. 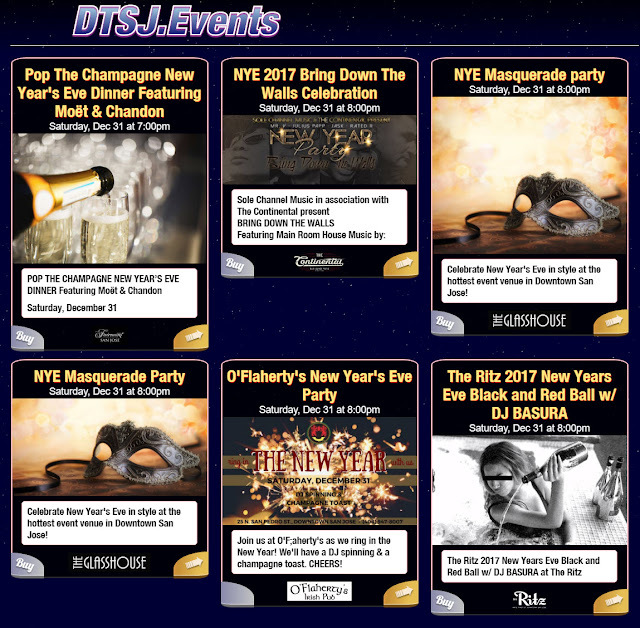 The Site lists several New Years Eve options that cater towards all budgets. Now is a great time to go check out the site and make plans! Love that he is trying but, dear god, please get a graphic designer on this ASAP!